redmine | Is life worth living? 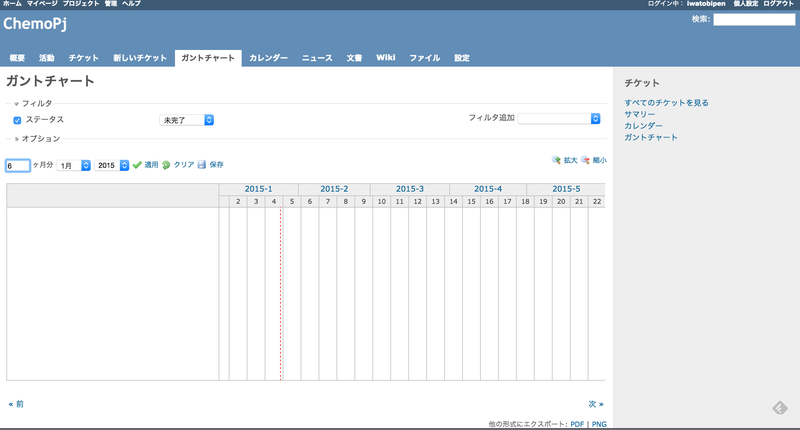 I’m still playing with redmine. 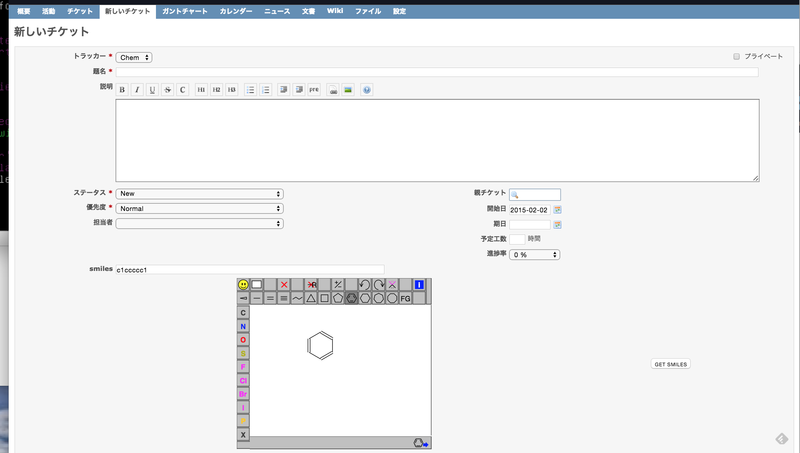 I want to embed structure editor in redmine, and store structural information. It’s good idea to make plugin, but it’s difficult to do ASAP. Before embed code, I make custom_field named smiles as text, that store smilestrings and set trucker Task. yesterday, my code has bug. I have mistake that form tag nested. So I fixed the bug. // this function get smiles from JME object and fill smile strings to custom_field. Then restart server and click new ticket. push submit button, smiles will be stored database. If anyone who has good advice or suggestion, please post comment here ;-). To think about DMTA cycle in drug discovery process, I think most important thing is ‘why you make the compound ‘. We make hypothesis to solve problems, and think about priority what make first. And make it. So, issue tracking system is good tool for hypothesis driven drug discovery. 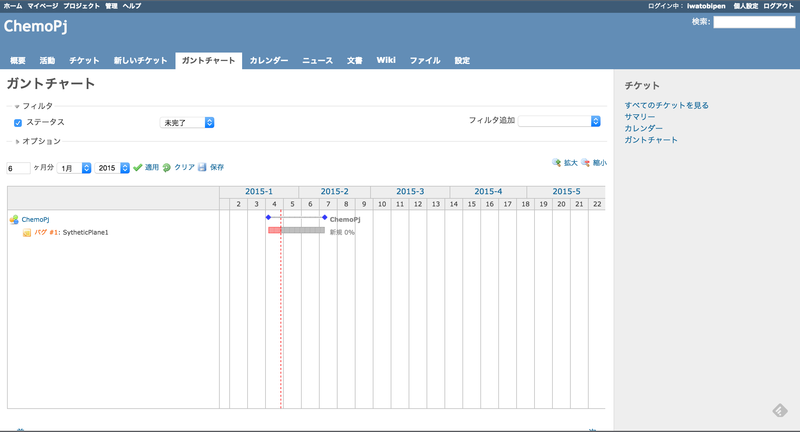 Redmine is one of nice tool for ITS. 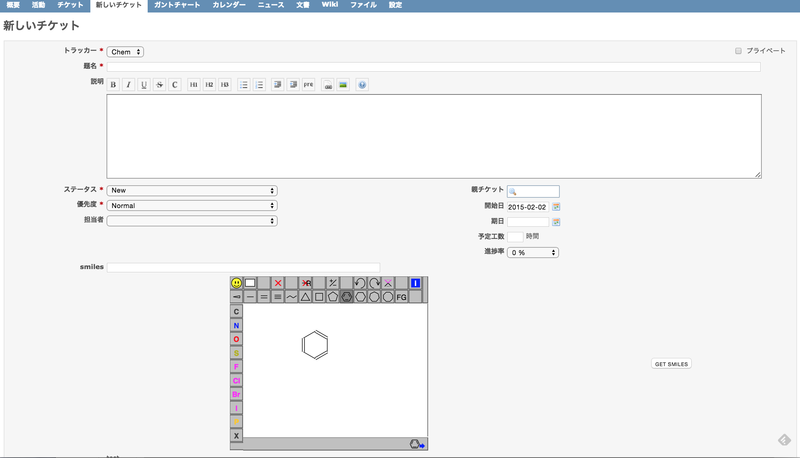 But it is not friendly for chemist, because this tool is often used for system development. There are no plug in for chemistry. Med chem. 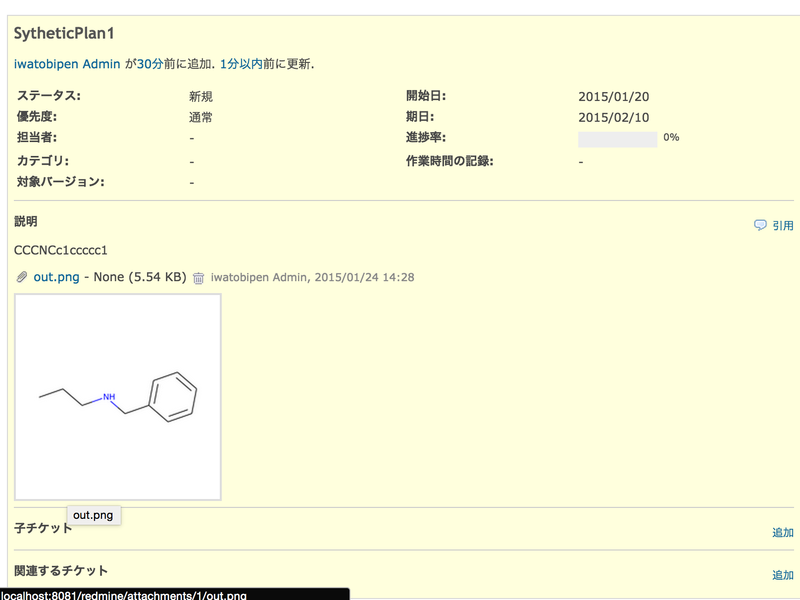 wants to check issues with chemical structure ;-). So, I try to very simple solution for post structure to redmine. So, from python, I make structure image using rdkit, and post structure as png image. Then change setting use REST, and show thambnail. If you check use REST for web app, you can get API key. Then write simple python script. I need two steps for post ticket with file. 1st, upload image and get token. 2nd post issue as xml. Before run script, gantt chart show no ticket.